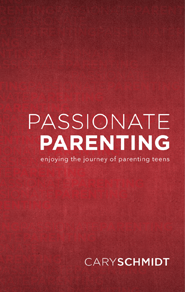 UPDATE: Passionate Parenting is now available through Striving Together Publications. Find out more at this link! The past Spring, the Lord allowed me to complete a book entitled “Passionate Parenting—Enjoying the Journey of Parenting Teens.” This past week, this new 250 page hard-back book is finally at press and will be available sometime around early December. Because of twenty-two years in student and family ministry, God gave us a unique perspective on the Christian home. First, He has blessed us with one of our own (Christian home, that is)—which is fraught with humanity under the construction of the Holy Spirit! Yes, we have family struggles, stresses, and conflicts like any home. We are all growing in God’s grace, and as parents, Dana and I have been as fearful and anxious as any parents about helping our children choose the right path. 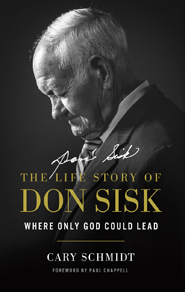 Second, He gave us the privilege of working with hundreds of families over decades—a birds-eye-view of the good, the bad, and the ugly in Christian family life. He allowed us to watch and learn from many, very successful parents. I just call them “my heroes!” I’m talking about some awesome parents! I’ve been blessed to see the greatest dads and moms on earth live out biblical principles passionately in their homes. May I share with you what it isn’t? This book IS NOT an attempt to say, “Our family is perfect and yours can to be too!” We’re still in the middle of our parenting journey, and I can tell you without hesitation—parenting is easier to WRITE ABOUT than it is to DO—for sure! 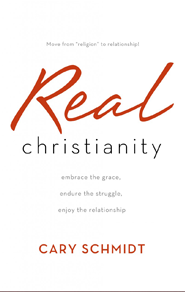 So, I hope you will find this book useful, edifying, scriptural, and encouraging to your relationships in your home. I hope Dads and Moms will read it together. I hope pastors and youth pastors will use it for family training. 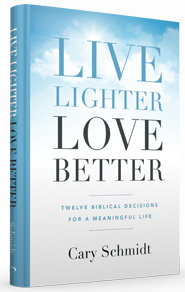 It is focused on teen parenting, but honestly, it’s applicable for families of all ages, and the sooner you implement the biblical principles it references, the better for your relationships at home! Pray with me that God will use this project to encourage and equip Christian parents! Look for it in early December! Thank you for writing this book. I am looking forward to reading it. Thank you for your faithful ministry. Your influence upon my life continues even to this day. I highly recommend this book for all parents no matter what stage of life you are in. Bro. Schmidt taught a parenting class that used portions of this book and it was tremendous. Make sure you get this book. I’ll be looking for this book in December. Thank you! Cary, and STP, will this be released for Kindle/e-book ?? ?